Fabric shoes are the shows that are commonly used for the regular and daily use as they can be easily cleaned and also less expensive than the shoes made with real leather or the animal by-product. The real reason behind the use of fabric shoes is that you can look for a many easy and reliable ways to clean them. You can use them at school, in office and even while doing the workout or during the sports. The famous white colored sneakers are the best example of the fabric shoes as they are not only used at home but also for the school and different sports activity. More importantly, it is quite easy to wash them in the machine or with the lukewarm water. 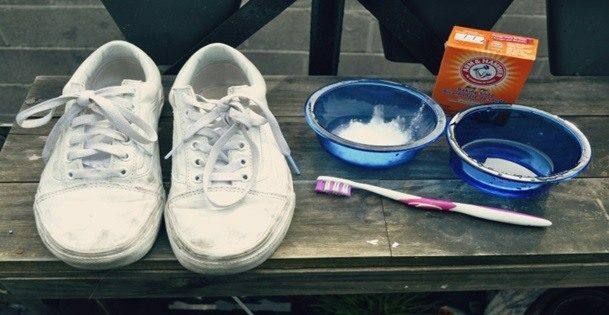 Well in this article we will be inculcating some of the important aspects that will help you with the reply to the question How to clean fabric shoes at home. However, have you ever wondered why do the people always worry when they are looking for certain ways to clean their shoes? Well, the answer is simple; they do not want to spoil the new looking shoes with some wrong steps. Hence in this piece of writing, we will not only give you some of the important ways to clean you fabric shoes, but we will let you know some of the important tips that you must follow before cleaning the shoes. One can read the sections below so that they can understand how they can make sure to have a clean fabric shoe without any problem. 1. First and the foremost thing are to check the label of the shoes and see if they can be washed with the help of water or not? Most of the companies provide you with the information about how you can clean your shoes or manage their quality. Hence one should read them very carefully before making any move so that the quality of the shoes does not get spoiled. If the company is saying they can be washed at home then does it, but if they are stating not to do it, then we advise you to go for the professional products that suit your shoes. 2. 2nd thing is about the shoe laces; well they are easy to be washed, but the thread that your shoe lace has might get damaged if you do not take care of them properly. Make sure not to go hard on the show lace and let them dry naturally instead of using the dryer. Most importantly make sure to remove the shoe laces before you start to wash your shoes. 3. Another important aspect that will not only help you with cleaning but will assist you in preserving your shoes for a long time is to check what type of fabric the shoes have. This will allow you to clean them carefully and if the need gentle treatment you will be soft and if not you can go rough and tough. However, your shoes are just like your clothes, and if you are reading this, that means you care about them. So always be gentle in your shoes. Yes, the first step is to read the instructions given with the shoes carefully so that you do not make any mistake while working on your precious footwear. Make sure to read the safety instructions carefully before you start the cleaning procedure. Remove the excess of dirt with the help of the dry cloth. 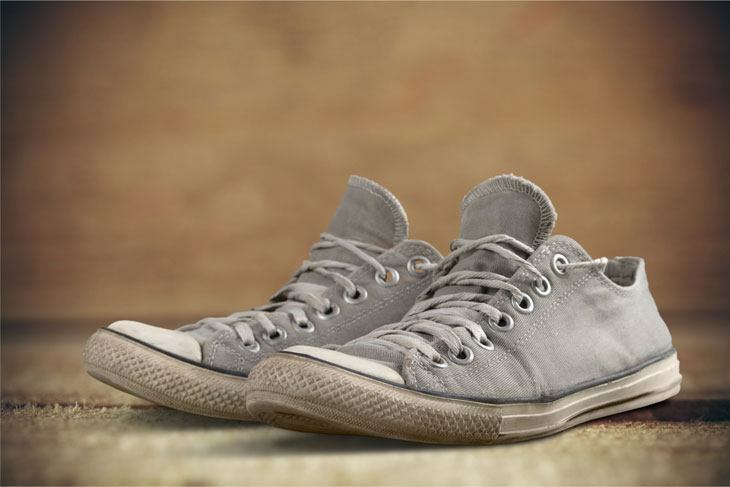 ​Apply the detergent to the shoes and with the help of the brush start the cleaning.